The wilds of Canada are a founding inspiration to Passenger. 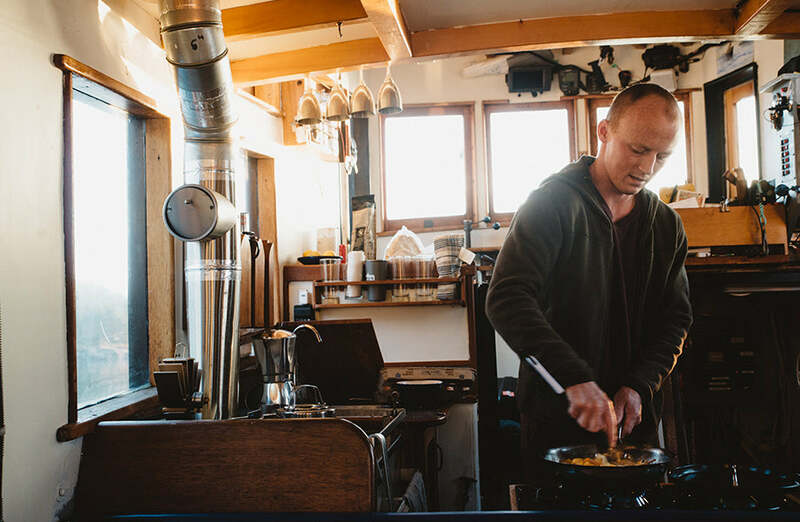 Few people have embraced alternative living as much as Bourton Scott. 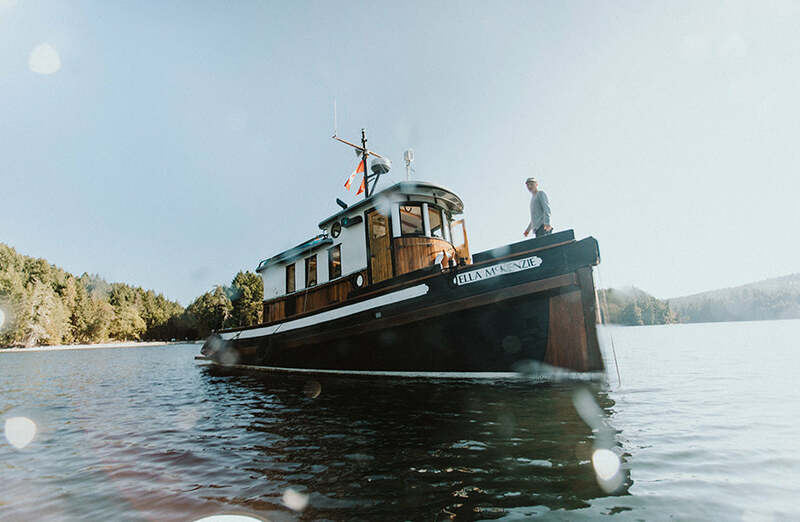 Van-lifer, cabin dweller and currently residing in Ella the Tug; a hand-built wooden tugboat with Canadian heritage. 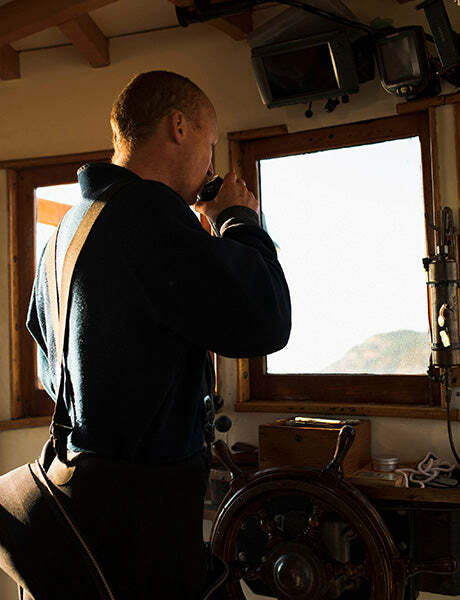 Professional diver and founder of the Emerald Sea Protection Society, Bourton has Salish salt-water in his veins. 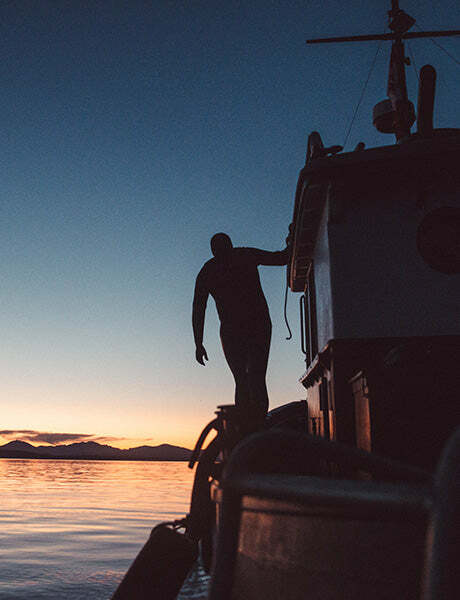 A life driven by a search for escapism, simple living and to protect our oceans. 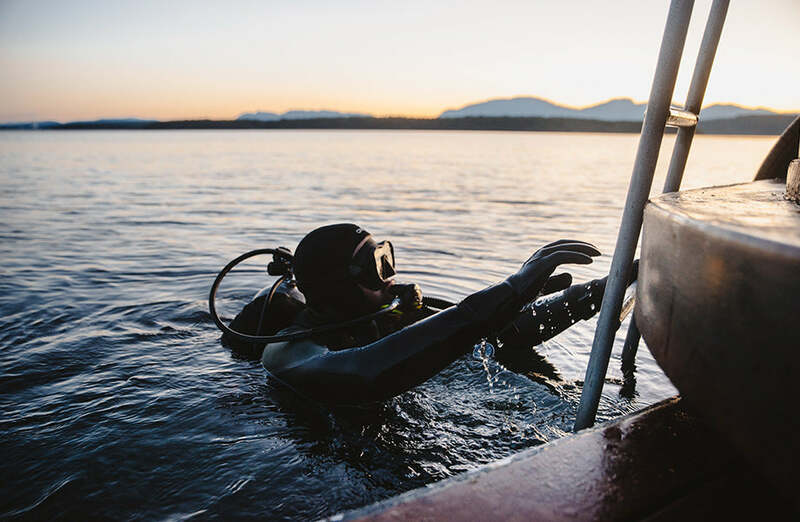 The Emerald Sea Protection Society is a not-for-profit organisation based in BC, Canada. The movement is made up of professional divers and scientists alike. 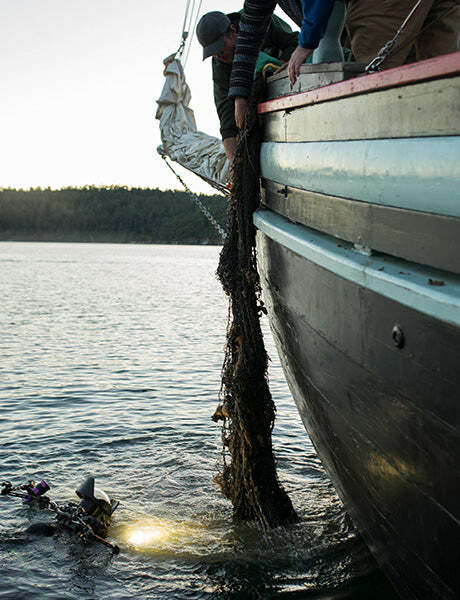 They're working together to innovate around the issue of abandoned fishing gear and the widespread problems it causes. Tell us about how you came to own Ella the tug? Gideon and I are both boat lovers. 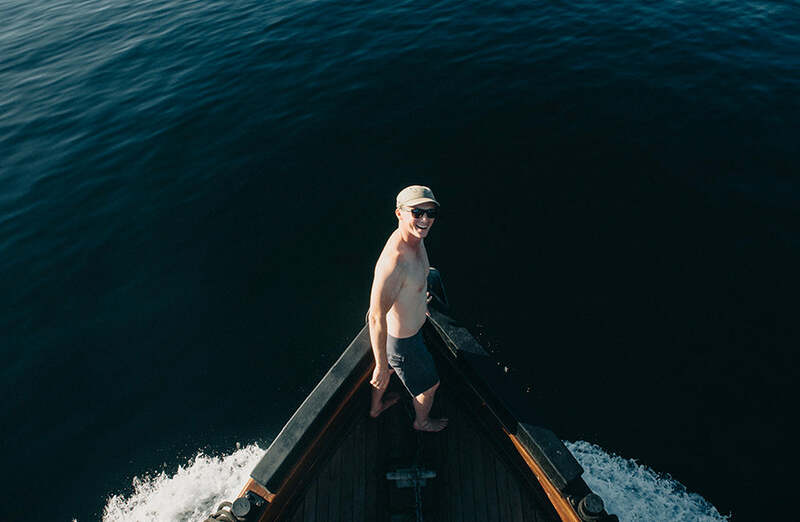 Gideon grew up sailing in England and I grew up in a canoe bobbing around Ontario. After moving west and starting my career as a diver I kept my eyes open for an interesting boat to call our own. I was daydreaming with little seriousness about actually buying one. Until I saw Ella, that is. I’ve always been attracted to old things and the stories they tell. Turns out Ella has some important significance in Vancouver. She was built in the harbour here over 70 years ago. 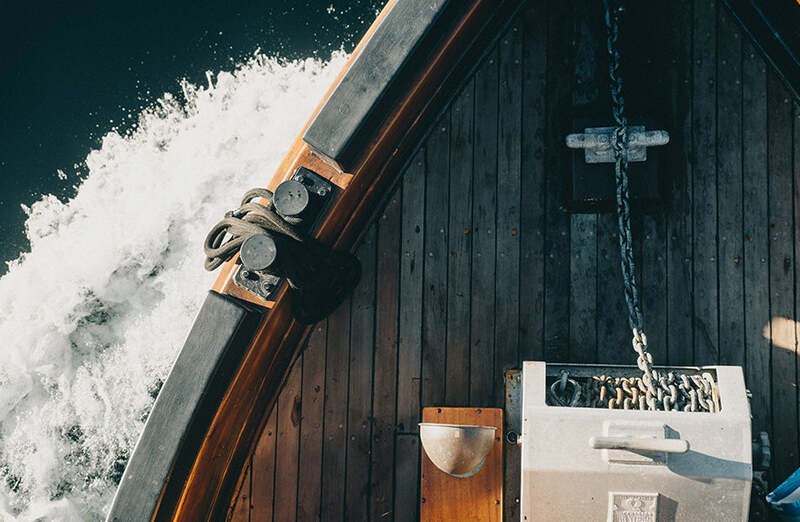 The last wooden tugboat by McKenzie Tug and Derrick, a legendary boatbuilding family. She’s had a life of hard labour; starting as a dredging tender, an oil spill response boat and a hand logging vessel. This little boat has had the absolute sh*t kicked out of her, and has sunk at least two times (that we know of). The last time she found the bottom of the sea she was raised, repowered and faithfully brought back to glory. That’s when I moved to Vancouver and laid eyes on her for the first time. It was love at first sight and I knew we had to have her. We got to learn how to own a wooden boat and how to take care of her properly. There’s always something to fix or paint on a maiden like Ella, but every one of these little projects comes with great satisfaction. Sounds like it was meant to be, where have you been and what have you seen on Ella? We make frequent trips in the local area, putting around and soaking it up. We’ve roamed around Howe Sound and the Gulf Islands close to Vancouver Island. BC alone has 20,000 km of coastline with something new and interesting to see along every kilometre, so there’s plenty more to come. It’s especially great when we get to spend time with whales. We follow the rules strictly, and sometimes we get real lucky and the animals come right up to Ella for a closer look. These moments are special to us. Since Ella isn’t a shiny white factory boat she always breaks the ice with the boating community. By the time we leave a spot, we have met loads of interesting folk. We get plenty of open-ended invites to come back and visit any time. We’ve met some amazing people, friends old and new. What does escapism, and the simple life mean to you? Personally, I've always lived a life that’s I guess could be considered on the edge of normal. I'm drawn to things that keep me moving and experiencing new things. I’ve lived in vans, cabins, houses and now a boat, which takes a certain amount of sacrifice to do. In my experience, this lifestyle doesn’t necessarily mean simplified. You have to be resourceful, and come up with new ways of doing everyday things. Like living with a leaky deck above your bed all winter! But, the lack of restraints that are afforded makes these sacrifices totally worthwhile. I feel very lucky. I’ve never been drawn to cities, but with work, I’ve always ended up close by in one way or another. So, Ella makes it easy to escape the hustle and bustle and go putt around on the water to recharge and reset. 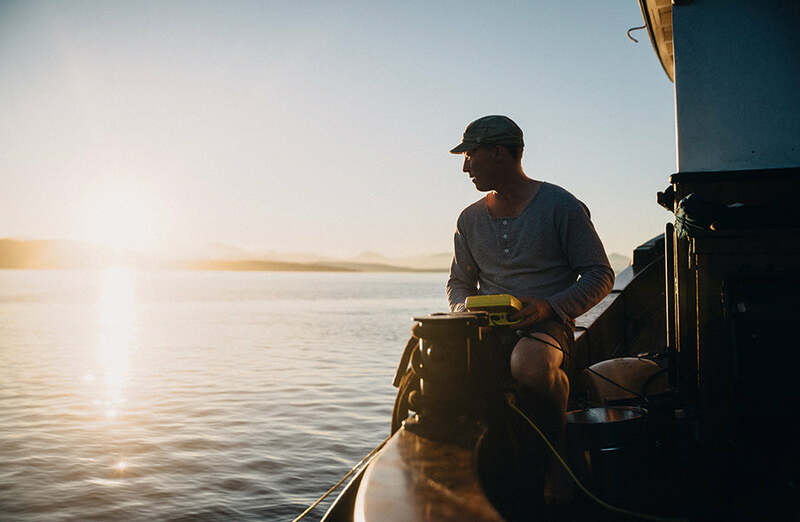 "This little boat has had the absolute sh*t kicked out of her, and has sunk at least two times (that we know of)"
Sailing the Salish Sea, what are you searching for? The Salish Sea is a very important area for the environment. Not only for Canada, but beyond our borders and the planet as a whole. 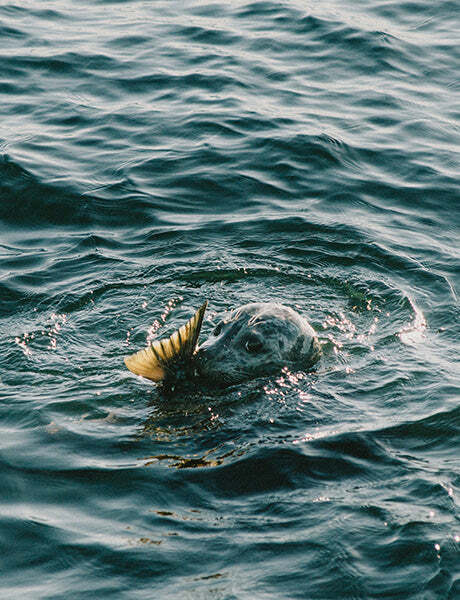 Our temperate seas sustain abundant life. They and are a ‘hope spot’ for biodiversity and potential to sustain a wide variety of goodness. We're passionate about protecting this area. Working as a diver I get to see the ocean from a different perspective. There’s one thing you see right away when you start diving here. Everywhere we go, there are things that aren’t supposed to be down there. Marine debris is an increasingly important issue facing the health of our oceans. Turns out, lost fishing gear is one of the most harmful. We’re working to discover how it’s directly affecting our coastline in BC, and what we need to do. On Ella, we find escapism and have incredible experiences with animals and nature. 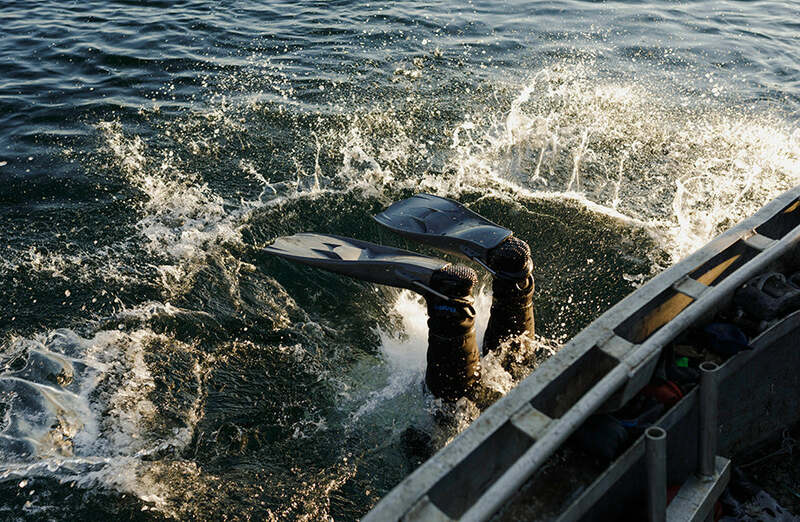 But at the same time, we're researching the impacts of marine debris and planning new recovery projects. It feels right that she’s still working these seas in one way or another. If you could relive one moment from time on Ella, what would it be? So many, I feel like every moment on the boat is special and I still have to pinch myself sometimes. We feel lucky to have the opportunity to own such a cool boat and to share these experiences with as many friends and acquaintances as we can. What music or song takes you back to the boat? Ella always has a diverse soundtrack to any trip depending on the crew aboard. Folk, classics and sea shanties always bring me back to the helm whenever I’m away from the boat. One song, in particular, takes me straight back to a day last summer. We had the awesome local band, Harlequin Gold, came onboard for a photo shoot and acoustic jam while we bobbed around in False Creek. We hung out for a while, they played rad songs ('Without You Now' in particular) and jammed some covers. We headed back out into English bay for a swim to finish off the day. Good friends, good music and wild swimming… one of those days that stay with you.